" Technically the Pimax 5K+ and 8K both have this headset beat still and those are available, assuming the company’s various different production issues have been ironed out. They seemed optimistic when we spoke with them last at CESin January. Google and LG have a panel in development as well that would blow this headset out of the water. But when it comes to high-quality, reliable, and polished products visuals don’t get much better than the Reverb as of the time of this writing." So smaller FOV, lower horizontal res but higher vertical res and extremely comfortable. Also it sounds like its RGB stripe (like 5k+)I would suspect PPD would better to since panels are smaller. "Additionally, HP adjusted the sweet spot of the displays. Ludwig admitted that in the first HP HMD, the sweet spot was a little small and got fuzzy near the edges. Your pupils had to align vertically with the lenses to get the best image. The goal with Reverb, Ludwig said, is to increase clarity, so you can see the resolution, while enlarging the sweet spot. The headset achieves some of this with its head strap, which is supposed to help center the eyes in the sweet spot better for longer use. Those are all major points. This weekend i demo´ed my 8k to some friends. All of them were really impressed and interested, but when i said about the waiting and shipping time, they auto-forget about it. “Maybe when it´s s avaliable on Amazon”. All of them were really impressed and interested, but when i said about the waiting and shipping time, they auto-forget about it. “Maybe when it´s s avaliable in Amazon”. If it were just 140 or 150 fov, I think Pimax would be in trouble! 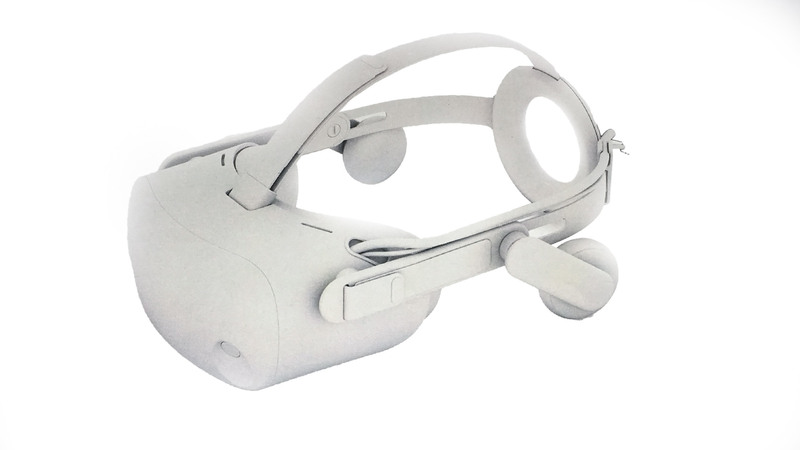 What’s exciting is how light they made the headset, it’s half the weight of the vive pro! Now actually makes this better than 4k in both the UHD & true 4k. Truth for gen1 vr this could “vive” to be king. But the big takeway here is of course that FINALLY these next gen panels will be available soon. I’m sure competitors will bring out similar HMD’s, WITH hardware IPD soon enough. Will wait…don’t want another paperweights. Anyone now when you can make a pre order ? Important for VR is HZ rating. Anybody know this?? Edit: According to Toms Hardware its 90Hz, Sweet!! Yes, it is. HP changed the name from Copper to Reverb. It’s coming out at the end of April. It’s got a 114º FOV. Surely the Rift S won’t have lower specs than this. Well personally I think that Zuckerberg is going for lower resolution for the Rift S. They seem to want to penetrate as big a market share a possible and that’s probably easier when 1080TI isn’t the minimum spec. So I’m not having much hopes for a nice surprise here unfortunately. Yet I’m sure others will follow soon with these panels. Cool. I looked on HP’s website and could find anything about it. I was looking to preorder. Well truthfully WMR needs low end contenders to help get more cheap pc users into vr. But truthfully no reason not to press forward with 4k headsets like HPs. If pimax wasn’t so behind it would have been a smart move for them to have done this with revised p4k based on new modular design with mech ipd. Built with Analogix new flex scaler 4k bridge chips might have been able to be king supporting upscaling & native. But they need to get these ks headsets moving proper & stable. Doesn’t Pimax already have a native 4K headset(the one with a smaller fov that came out before the 5K and 8K)? How will this one from HP compare to that?